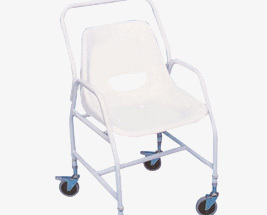 Our range of shower wheelchairs are a comfortable and easy to clean option for users with limited mobility, with both transit and self propelled options to fit with the users needs. Dependent on mobility, they can be used by individuals or with aid of carers, making the washing and bathing routine easier and quicker. Please browse our range below to find the ideal style suitable for your needs.